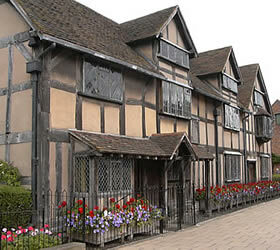 Stratford-upon-Avon is the town where the famous writer/poet William Shakespeare was born in 1564. He married a lady called Ann Hathaway, and had three children. Soon afterwards he left the town to work for a successful theatre company in London, sending money back to support his wife and children. 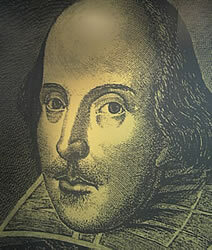 He wrote 37 plays - these were usually performed first in the Globe Theatre. 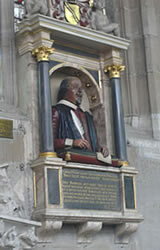 When Shakespeare retired he moved back to Stratford, and died there in 1616. 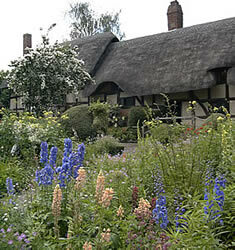 Before Anne Hathaway married Shakespeare, she lived in a pretty farmhouse in the village of Shottery (about 1 mile - 1.6 kilometers - west of Stratford-upon-Avon). There is an entry charge to see the gardens and inside the cottage, where some of the family's furniture is displayed. 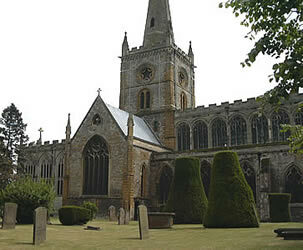 If you travel to Stratford-upon-Avon independently and have plenty of time, you can walk here from the town centre. Alternatively, sightseeing buses from the town centre travel here regularly. The sections below show images from a walk starting and ending at the coach terminal. 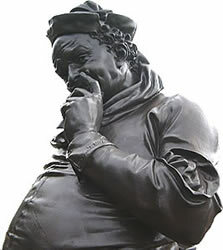 At the northern end of Henley Street you can see a statue of a fool. Further down on the left is a museum called the Shakespeare Centre, and Shakespeare's Birthplace (where Shakespeare was born in 1564). Turn right into High Street. 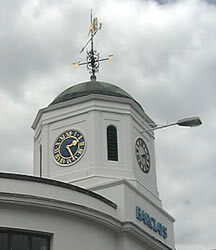 There is a clock tower on the corner. 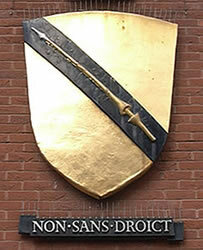 Harvard House was built in 1595 by Thomas Rogers - his daughter's son founded Harvard University in America. 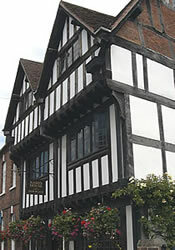 The building which you can see on the left in the picture below is the Garrick Inn. Continue straight and High Street becomes Chapel Street. On the left is Nash's House. 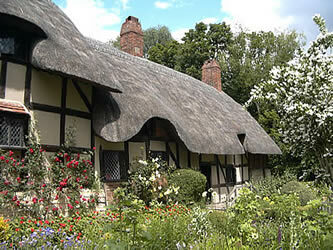 Shakespeare lived in a house next door from 1610 until he died in 1616. 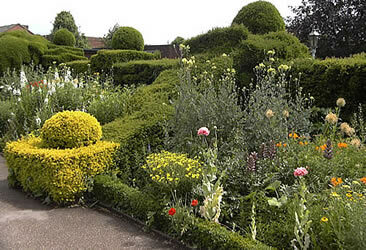 There is no longer a house there (New Place), but there is a garden called Great Garden which you can enter from Chapel Lane. 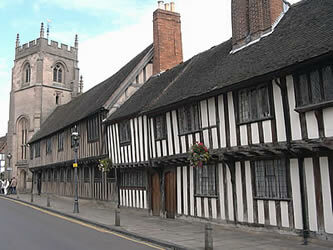 On the left at the start of Church Street is the Guild Chapel and then King Edward the Sixth School, where Shakespeare went to school. Turn left at the end of the street into the road called Old Town. 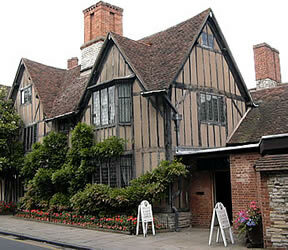 On the left is Hall's Croft, the home of the man who married Shakespeare's daughter. 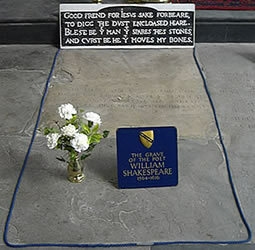 Shakespeare's grave is inside the church, and there is a memorial on the left. 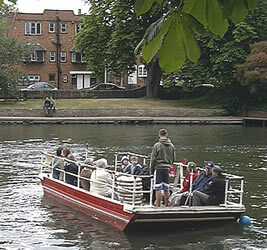 There is a ferry (for foot passengers only) which runs frequently between the north side of the River Avon to the recreation ground on the south side. This works using a chain under the river. 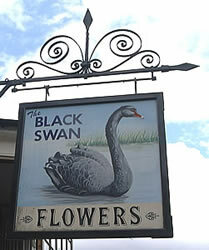 As you walk along Southern Lane you can see a sign for the pub "The Black Swan". 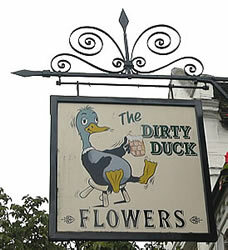 If you look back after you have passed the sign you can see that the name has changed to a less elegant one: "The Dirty Duck"! 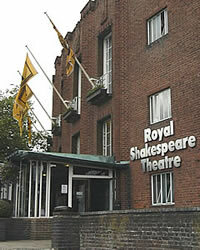 The centre for the Royal Shakespeare Company (RSC) is the Royal Shakespeare Theatre on Waterside. Shakesperean plays are often performed here or in two other nearby theatres called the Swan Theatre (next to the river) and The Other Place Theatre (on Southern Lane). ... or "The Dirty Duck"? 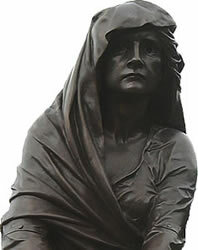 The Gower Memorial is situated in Bancroft Gardens. 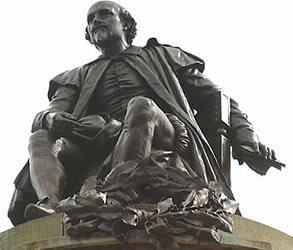 In the centre is a statue of Shakespeare sitting down, surrounded by statues of Lady Macbeth, Prince Hal, Hamlet and Falstaff, representing Philosophy, Tragedy, History, & Comedy. 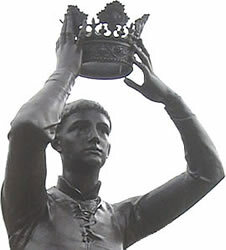 The memorial was completed in 1888, and moved to its current location in 1933. 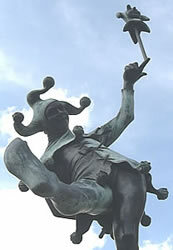 The Tourist Information Centre is nearby. 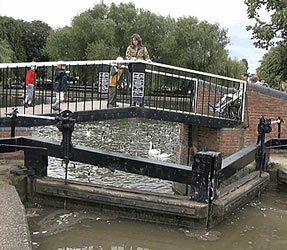 To return to Shakespeare's Birthplace you can either walk along Bridge Street and Henley Street, where many of the main shops are located, or you can follow the canal and return using Great William Street. 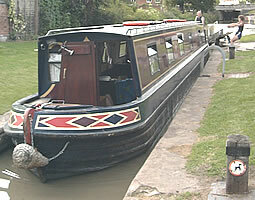 There are a series of locks along this part of the Stratford-to-Birmingham canal. 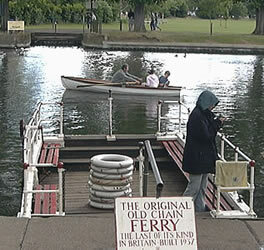 Each boat must enter the lock, close the gate behind them, and wait for the water level to change so that the boat can continue on its journey. 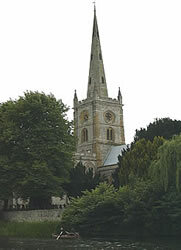 - Note that there is a celebration in Stratford each year on the Saturday nearest to 23 April, to celebrate Shakespeare's birthday. - If you prefer not to walk, two options are to take the sightseeing bus (click here to book a ticket) or to ride in a horse-drawn carriage. - For train timetables and to buy a ticket online, see: Shop/Company/TheTrainline. - For coach timetables and to buy a ticket online, see: Shop/Company/NationalExpress. 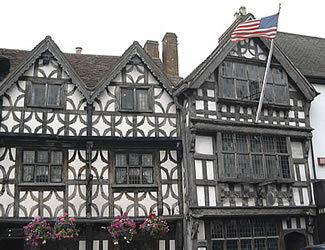 "Simply as a town boasting numerous historic buildings, including some attractive timber-framed houses, Stratford would be worth a visit. 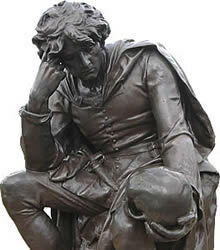 But it's the fortunate circumstance of being the birthplace of the world-famous Elizabethan playwright William Shakespeare (1564-1616) that has brought Stratford-upon-Avon international fame and fortune plus tourists in ever-growing numbers"